A few weeks ago we reported how the IH Scout in 1961 was born, in part, due to the success Jeep was realizing in the growing 4×4 market. 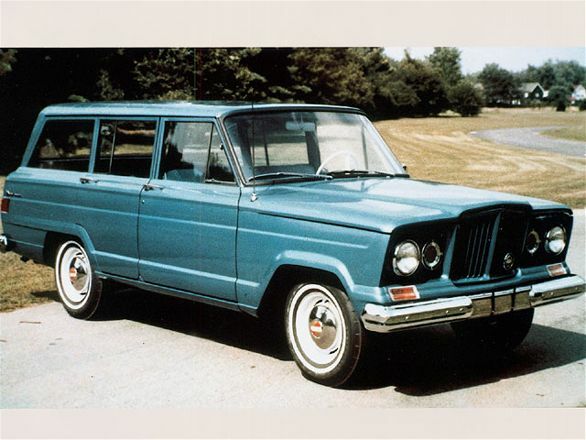 Ironically, the legendary Jeep Wagoneer two years later would be in response to the success of the Scout. In some ways, Scouts were new and improved Willys wagon. To stay competitive, Willys would need something more refined, more luxurious, more sport and more utility than the market had ever seen. 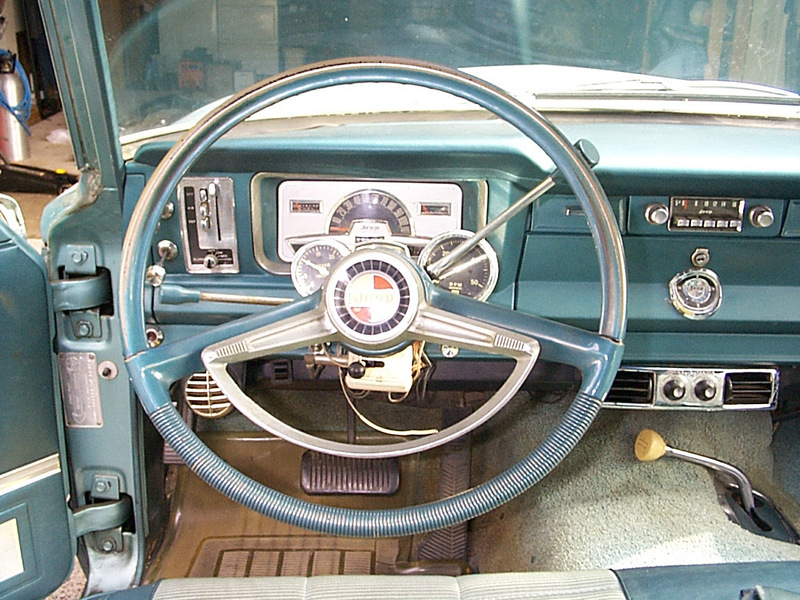 1963 Jeep Wagoneer. Photo credits to the Kaiser Jeep Co. In the fall of 1962, the Willys Motors division of Kaiser Industries (soon thereafter known simply as the ‘Kaiser Jeep Corporation’) introduced the new Wagoneer as a 1963 model. It was bigger, better and more family-oriented than the outgoing Willys wagon. It came in both both two- and four-door versions, with large windows and a spacious interior. Most notable was the intentional interior treatment…the fit and finish was considerably more upscale than any other 4×4 on the market. 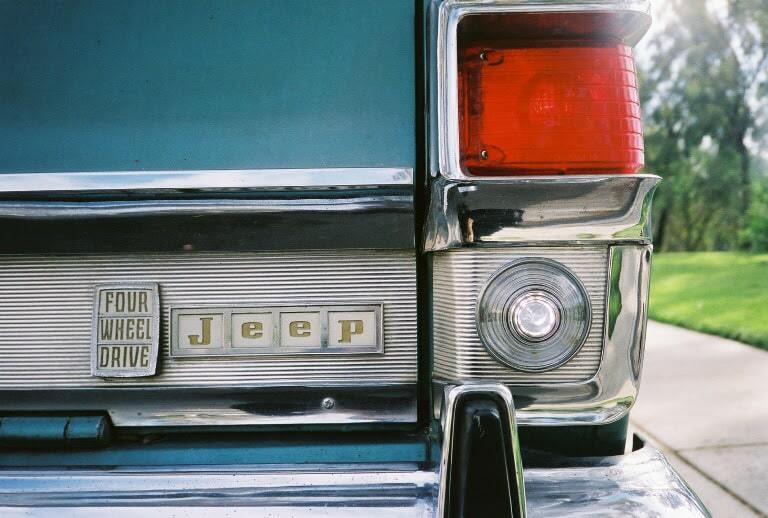 In 1970, the American Motors Corporation (AMC) acquired Kaiser Jeep and set its targets on further refining the Wagoneer, with the intention of making it America’s best most luxurious sport utility vehicle on the road. Opinions are plentiful on whether this acquisition was the start of a beautiful 20 year romance, or simply a mistake you would soon rather forget. 1974 Jeep Wagoneer. Photo credits to Second Daily. What’s not in question are the advancements made during the so-called AMC years. In 1973, AMC introduces “Quadra-Trac’, a full-time four-wheel drive system that allowed you to switch between 2WD and 4WD in the cabin as opposed to manually turning the front hubs. It was advanced beyond many years at the time, so much so that it is the foundation of most 4WD systems on today’s vehicles. 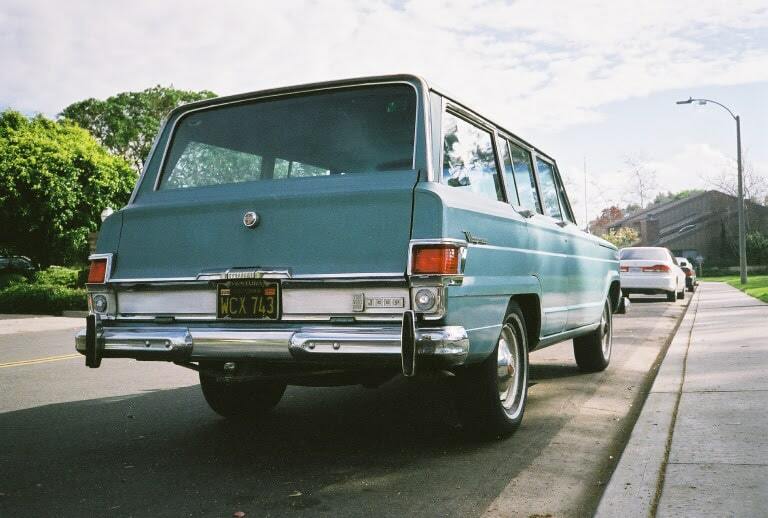 AMC stayed true to their promise and eventually would laid all the ground work to turn the Wagoneer into the luxury Hamptons cruiser we know it as today. So how is it as a daily? 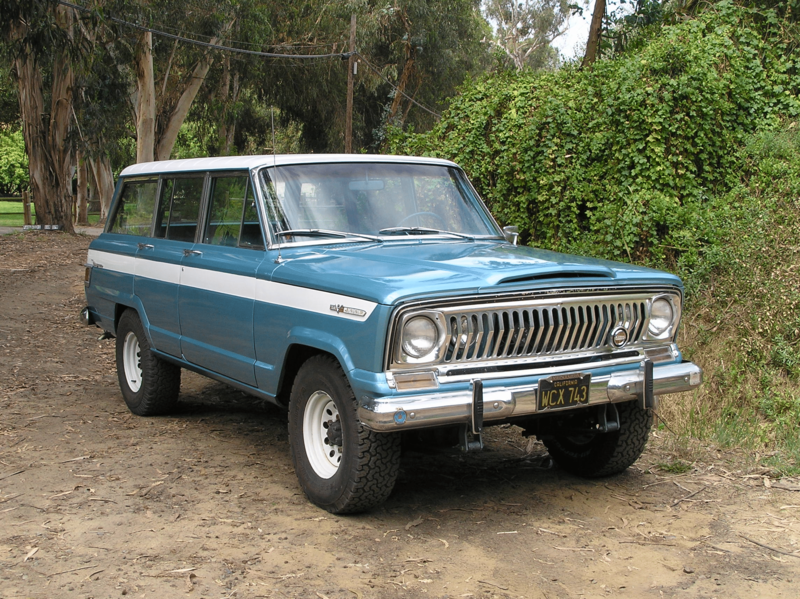 We caught up with long-time Wagoneer lover Peter Matusov, who is the proud owner of a Kaiser Blue 1968 Jeep Wagoneer. Originally ordered from the factory with the optional Buick 350 V8 and air conditioning, it spent its life in Ventura, California, so rust is minimal which is quite rare on these. Since owning it, Peter has made it a little more road-worthy by replacing the original engine with an updated 4-barrel V8 and replaced the axles to accommodate disc brakes…”the Turbo Hydramatic 400 and Dana 20 transfer case are still in place”, he adds. Peter says “In stock form, the big jeeps offer a very plush ride with a lot of wheel travel for a leaf-sprung vehicle. Despite sway bars on later-year jeeps, they lean in corners – more or less like an off-road-modified Range Rover or Discovery would, but remain very stable and handle well on the road due to 109″ wheelbase.” Aside from the 10 miles per gallon you’re sure to get, it makes for a great second daily. What to look for? Starting with the early 1970s models, assorted patchwork of smog-related equipment gradually filled up engine bays of Wagoneers. It was the last mass-produced passenger vehicle without even an electronically-controlled carburetor. In California, one has to either look for pre-1976 models or suffer with the anemic factory setup in later trucks. The AMC engine blocks have a high nickel content with forged crankshafts, so they can take a their fare share of deferred maintenance and abuse before they give up to the engine gods. 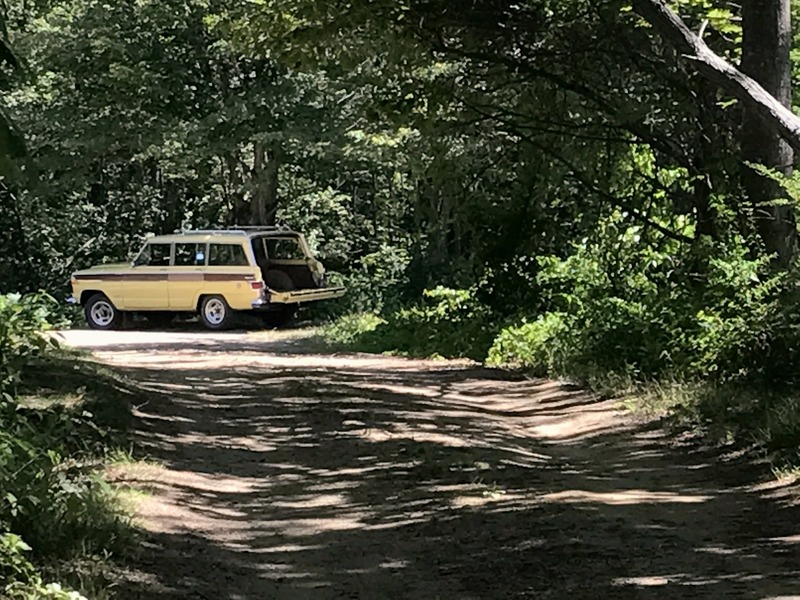 Market Watch: The market is hot for these currently, particularly the Grand Wagoneer (“Woody”) (MY: ’84-’91). Collectability is climbing on these rather rapidly, it’s getting more and more difficult to find ones in original rust-free condition. The good news is they made well over 300k but the exact number isn’t known. Get yours now because the desire of many enthusiasts and population of urban dwellers looking for something uniquely vintage to park in the drive way is quickly growing. 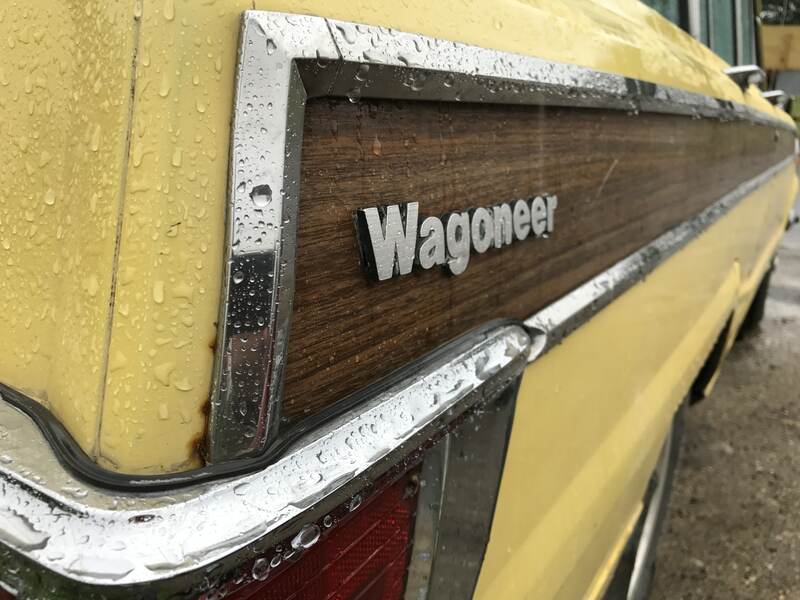 Recent sale prices are scattered around the $15000 – $25000 range, with some of course falling below that and several low-mileage Grand Wagoneer examples far exceeding that. **Second Daily would like to thank Peter Matusov for his contributions with this feature, including commentary and photos…but we really want to thank him for his long-term dedication to the first and one of the greatest SUV’s of all time. Cover photo credits to Peter Matusov. 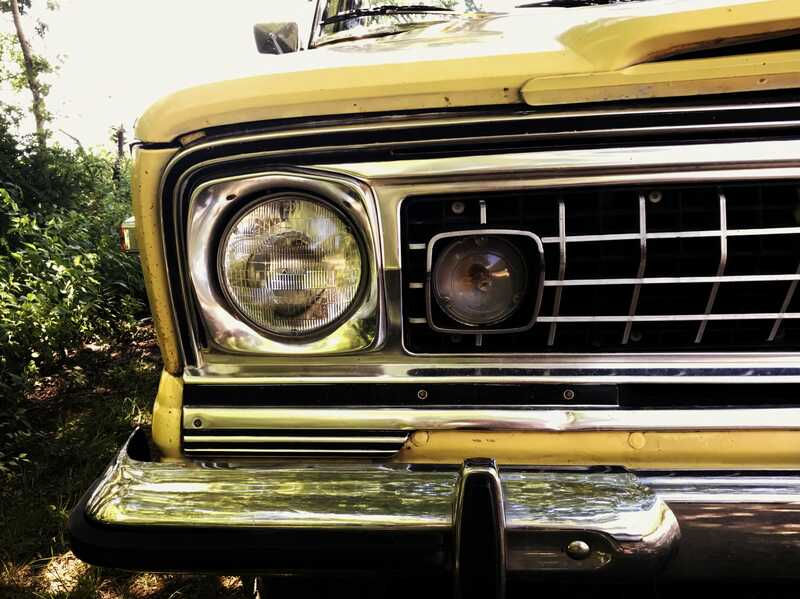 This entry was posted in American Classics and tagged bronco, cherokee, jeep, scout, vintage SUV, wagoneer.